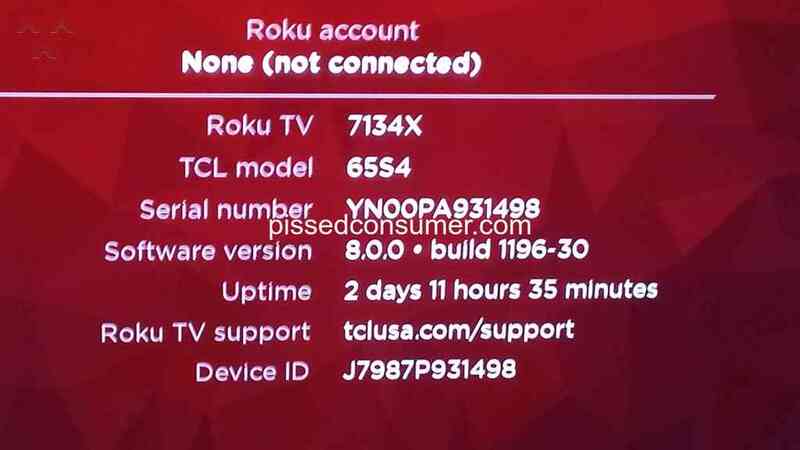 I have a warranty on my TV I've been sent somewhere else flexshopper has done nothing for me other than to give me the runaround I need to get my TV replaced that's why I paid for a warranty somebody please contact me 925-339-5279 thank you Carolyn Richmond that's why I have insurance! 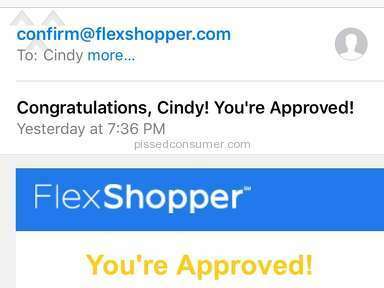 Related: Flexshopper - Don't do it!!! I'm dealing with the same thing. They won't honor anything other than telling me I can cancel the contract for $275. But absolutely horrible. And will not try to find any type of resolution with no options to give. Review #1442703 is a subjective opinion of PissedConsumer1442703. Bought TV from Leon with extended warranty. 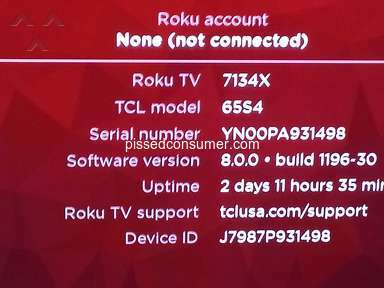 I had issues with the TV and when I called them, I was told they can refund my money back with only 84% as the TV has depreciated. How on earth can warranty be depreciated? I was told I have to wait for 4-7 weeks before, the parts comes. I was very upset. My kids have no tv for a while now and I do not know what to do. I believe warranty is to replace or fix without additional cost or lost. How can warranty on TV depreciate? I bought TV from best buy and when I had issue with it, it took only 24 hours for someone to come to my house to take look at the issue. 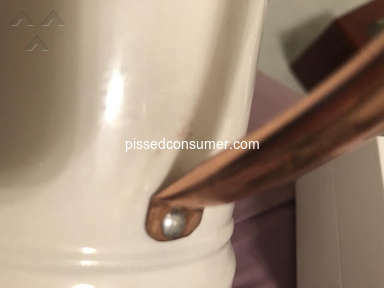 Leon furniture is scamming customers and they do not care at about their customers. Review #1428610 is a subjective opinion of poster. 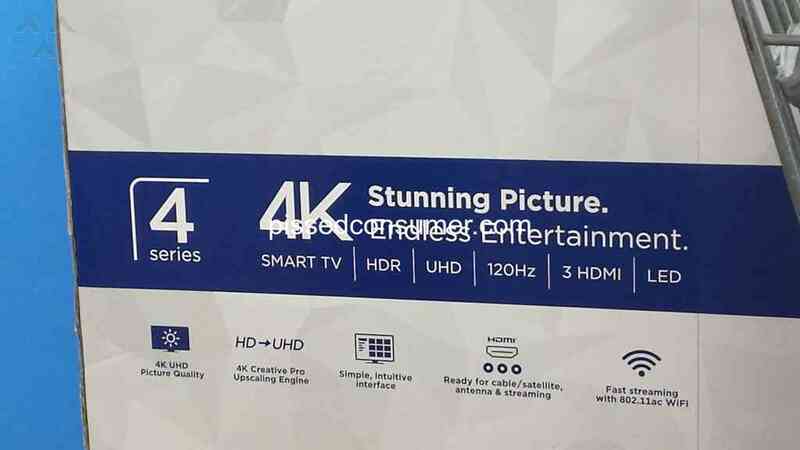 4K 65" TCL for $399 with120htz refresh rate is a lie. It isONLY 60 htz! The box even has 120htz on it.The Wal-Mart sales staff said that it would have 240cmi at 120 htz which was not true. 120 htz refresh rate was FALSE! Review #1418489 is a subjective opinion of poster. Review #1417672 is a subjective opinion of poster. Was sent two defective TVs after my tv broke (was covered under their protection plan) after the second tv I was told it wasn’t their responsibility anymore and to contact manufacturers. I did, they said same thing. I now have a broken tv and no one will take responsibility to replace it. I will never buy electronics from Walmart again, never. Review #1412732 is a subjective opinion of PissedConsumer1412732. Read the warranty info that came with the telly and the extended BB warranty. It will tell you what is and is not covered. Commonly, screens are not covered, for obvious reasons. Review #1412492 is a subjective opinion of poster. Review #1382225 is a subjective opinion of poster. 3months palang po, d naman masyado ngagamit. 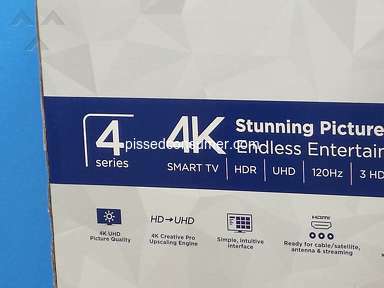 Pag open may mga lines na sa screen ng tv, patulong naman po kung paano magagamit yung warranty niya. Hi SquigglySaintBernard, we understand your disappointments and we appreciate that you reached out to us. For us to settle this matter the soonest, may we know the order number that is associated with your concern? Review #1362546 is a subjective opinion of poster. 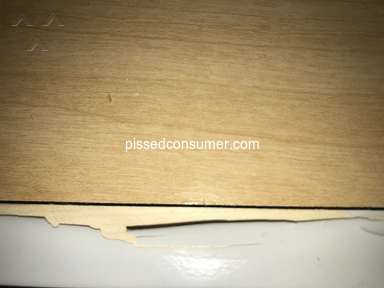 purchased item in Dec 2017 didn't get item till Feb 2018 upon receiving item from NON Stop Freight TV damage called for return and refund a day later... they show up a month later in March 21 or 23rd to Pick up TV got a confirmation from Purchasing Power then 48hr later they call back to say they don't have the TV how in the world did that happened?? My daughter was at the house when they picked up tv all she said was she signed for the pick up they took the tv and that was it. Now, i been calling about refund back and forth purchasing power is stating after 6months to get proof of pickup like how am I suppose to do that when it clearly states on my account return to transit is that not proof enough I cant even make stop payments due to it was through employee deductible customer service is a joke as well you talk explain etc.. talk to a supervisor still nothing. Review #1360043 is a subjective opinion of poster. I HAVE 8 EMAILS CONCERNING MY RETURTN. THEY SENT ME A RETURN LABLE FOR A SMALL PACKAGE THE TV IS A 65 INCH AND USPS WILL NOT ACCEPT IT. I HAVE TRIED TO CONTACT THREW PHONE NUMBER BUT WILL NOT CONNECT. I HAVE THE SAME EMAIL SENT TO ME OVER AND OVER AGAIN WITH THE SAME SOLUTION THAT DOES NOT WORK. 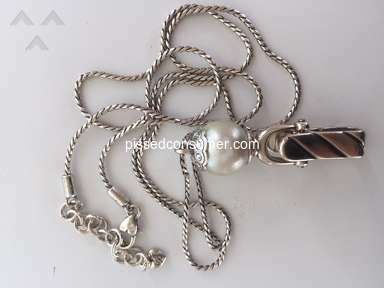 I NEED UPS TO RETURN THIS AND NEED WISH TO REFUND MY MONEY. I HAVE A TRAIN OF EMAILS THAT TELL ME THE SAME THING PRINT THE RETURN LABLE AND TAKE TO POST OFFICE. I HAVE GIVEN MY PHONE NUMBER IN EMAILS TO HAVE A CALL PLACED TO ME AND NO ONE HAS CALLED. Review #1359907 is a subjective opinion of poster.